“I’m dreaming of a White Christmas, just like the one’s I used to know…” . At least that is what Bing Crosby sang about in 1942 as he pined Irving Berlin’s classic song about a nostalgic Christmas in the United States. BTW, did you know this is the world’s No. 1 single of all time! And to think, over half the world (geographically) has never seen or touched snow! 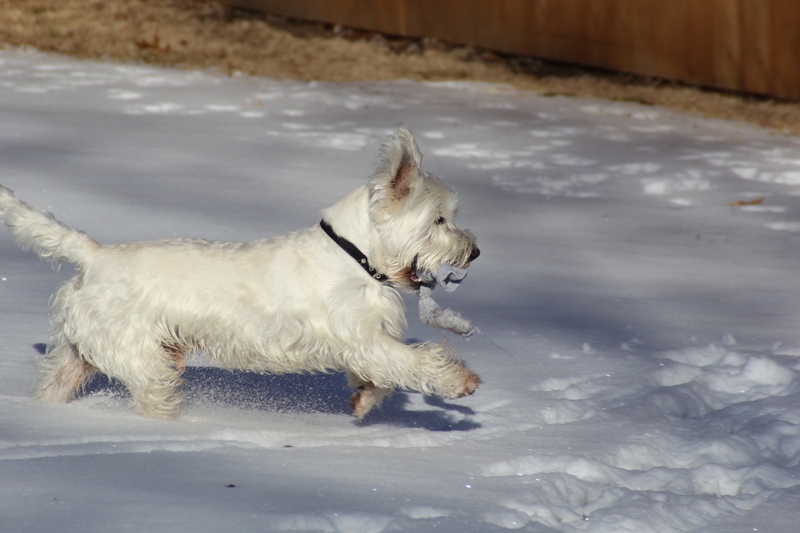 Actually, Cheryl and I are living with a White Christmas of sorts every day of each year with our Westie, Carson. This is a recent photo of him. He is about twelve years old. He has an interesting story which is not all that unusual for rescue dogs, and I acknowledge that many dog lover’s know similar stories. However, I will present Carson’s story in brevity with the hope it will brighten your holiday spirits. Cheryl and I adopted Carson from a rescue organization called Little White Rescue. He was a breeder male penned in a puppy mill for an undetermined amount of time. We were also told he was found in a farm field, either escaping the mill or simply let go. 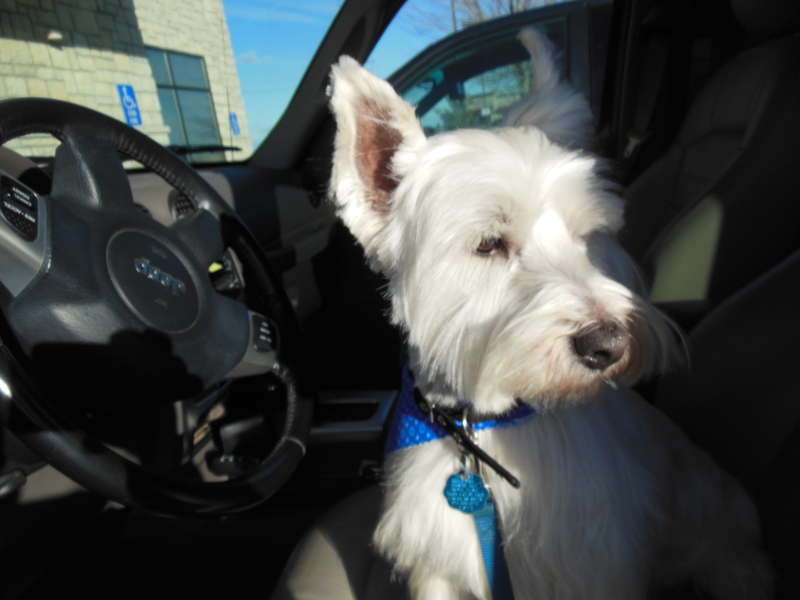 We drove a couple hours to Omaha, Nebraska in November of 2012 to pickup our new addition to the family. We met with his foster mom and her daughter along with a representative of the organization. We paid the adoption fee, had our photo taken with Carson while holding his adoption certificate, and then took him home. Cheryl and I have had several dogs as pets and owning a canine was not new to us. We also had several felines along the way. But, we never had a terrier breed. 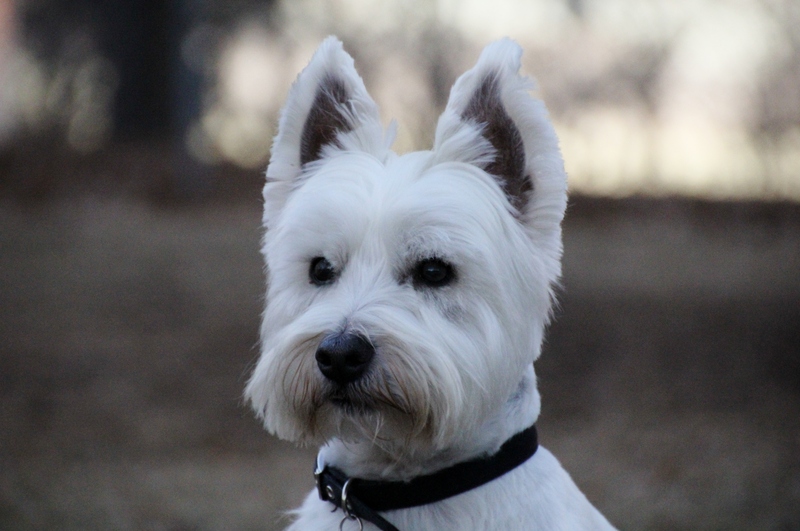 West Highland Terriers are not high strung as some of their cousins are, but they do possess a certain aloofness about them. Interestingly, Carson has to acknowledge every visitor by a sniff and waits for a tap on the head, and upon completing this routine retreats to what he was previously doing or comes to us. Timid-no way. Annoying-sometimes. Barks-only at squirrels and cats and skunks. Lap dog-not until recently. Most of the time he simply has to be near us. 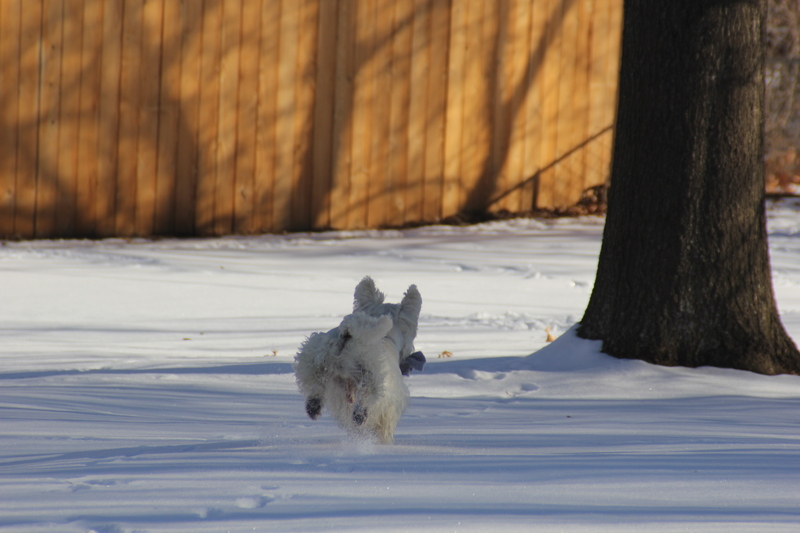 We believe the above photo (taken in December of 2013) to be the first time Carson experienced snow outside of a pen. He was about four years old, but acted like a puppy-full of joy! 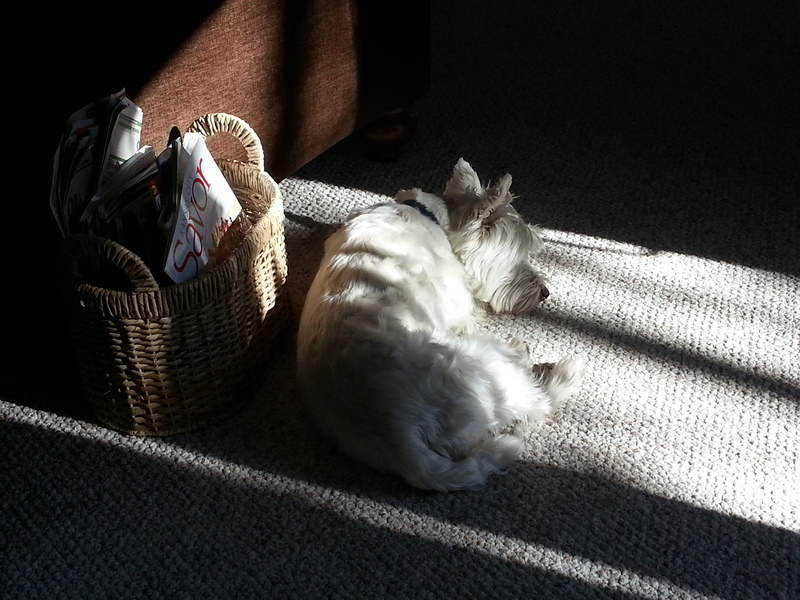 He has a thicker coat of hair for the winter cold, and cold temps don’t seem to bother him. The reason we think this was his first winter of freedom is due to the fact that after we brought him home to roam our acre yard, he would only walk a 35 foot line back and forth for several weeks (creating a mud walkway) until he gradually ventured beyond this imaginary line. Yes, it was sad, but also rewarding to see him venture out. Whether it is white on green, white on brown or white on white, we can always find Carson. When he digs in the dirt he looks like an Oreo cookie with face, belly and paws all black and the rest of him white! The above photo is a mild example of his mud coloring. 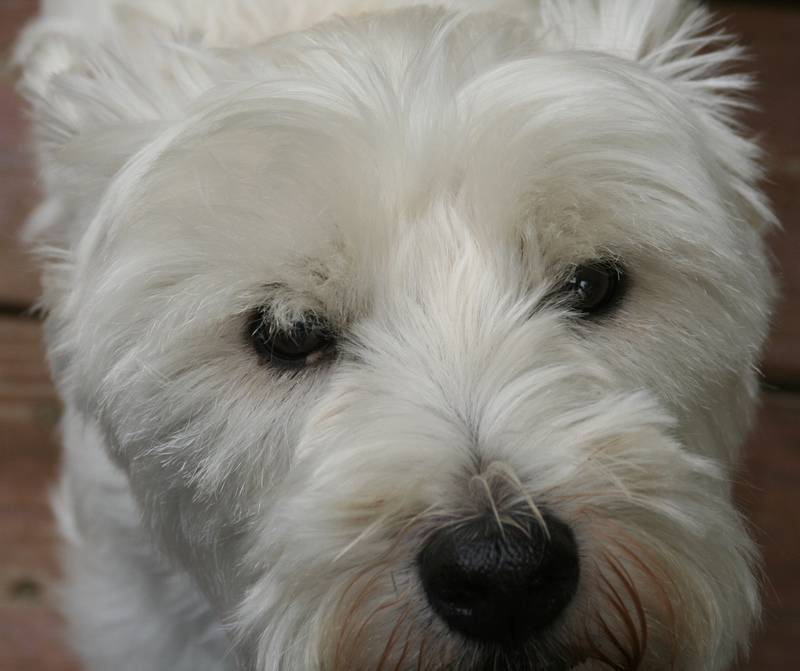 Westies were bred in Scotland to hunt fox and badgers. They are ‘bullet’ shaped with wide, powerful rear legs and a stout tale. When they trap their prey in a den they would dive into the hole as far as possible to grab onto the fleeing, fighting animal. Often they could not back out so the hunter would simply grab the tale and yank the dog out along with the vermin he just captured. 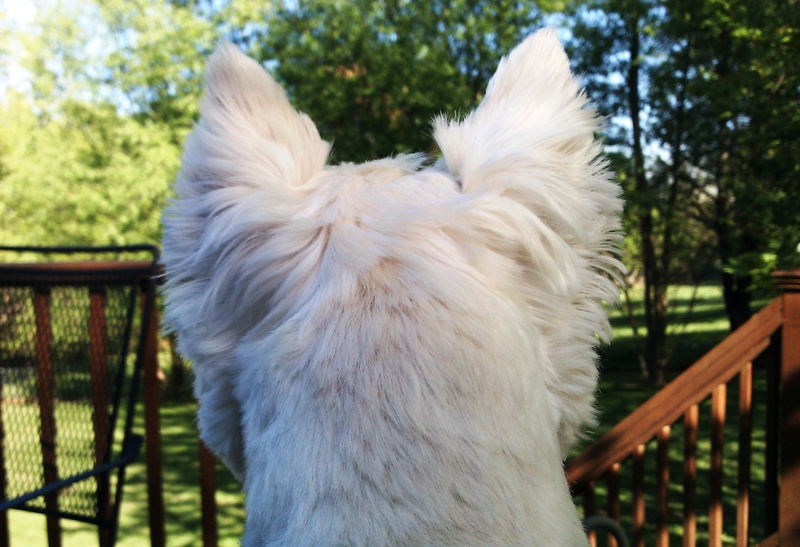 We purposefully had his hair cut in a sporting sort of way rather than the cute style most Westies have. Because Carson is at the top size for his breed at 23 pounds, and is an alpha male, we felt he needed to look the part. Carson is a tough canine. 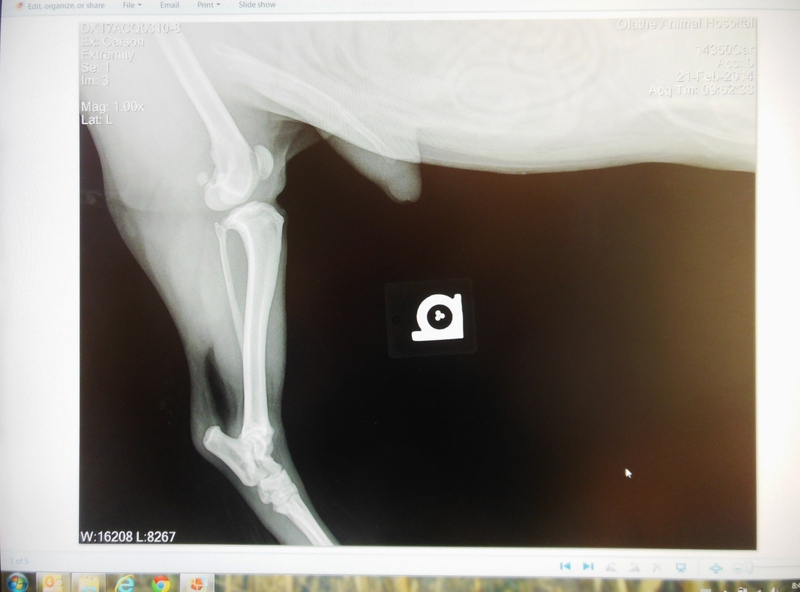 Besides enduring the mill, he has ruptured both knees, has had one ACL surgery, almost died as he was bitten on the throat by a neighbor’s pit bull and was later bitten in the leg by another dog. He is about ninety percent blind, is deaf, and has a collapsing trachea which causes constant hacking for air. He still has a sense of smell and a hearty appetite. 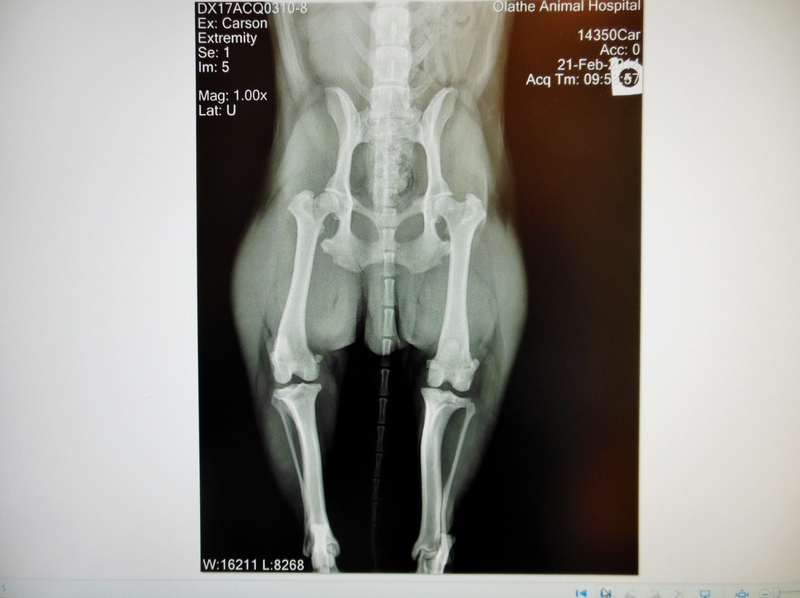 Our vet says he and most pets adapt with their disabilities. We know this to be true. I couldn’t resist the above image as Carson stood on my chest while I was siting in a lounge chair a few years ago…I snapped a cell phone photo and this is the result. I like it. He cracks me up! We didn’t know how much he would change our lives when we picked him up seven years ago. We are often inconvenienced and have less in our bank account, but that is the price of choosing to have another family member to take care of. In return we get to experience his coolness as well as his love. Most dog owners can relate. We are grateful to have him around for another Christmas. And we hope you have a very Merry Christmas…with or without snow or Carsons ! Dedicated to all who rescue, medically care for, foster care and adopt helpless animals. Bless all of you as you continue to fulfill Christ’s mandate to care for others which includes people, of course.